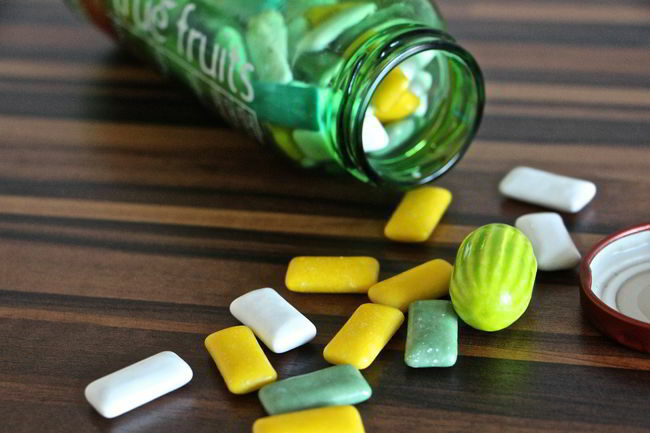 Chewing gum has been proven to improve a person’s mood, while decreasing anxiety and stress. Since the psychological status of those who chew gums regularly has been unknown, a study has been conducted to find out how regularly chewing of gums can affect the psychological, mental and physical status of the young adults, who are healthy. 50 volunteers were randomly chosen and divided into two different groups: n = 26 and n = 24. The participants were requested to chew the given gums twice every day for a period of fourteen days. The volunteers were told to fill a questionnaire, which was related to their lifestyle. This questionnaire was used for baseline assessment. After 2 weeks, the Profile Mood State (POMS), The State-Trait Anxiety Inventory (STAI), the World Health Organization Quality of Life 26 and assessment of mental and physical fatigue were studied. After 4 weeks, the assessments were made again to follow-up with the volunteers. According to the results, after 2 weeks, the mental anxiety of individuals was comparatively lower in the intervention group as compared to the control group. The scores of the group of intervention participants were better than the scores of the group of control participants. After the intervention, mental fatigue was decreased as well. However, after 4 weeks, there were no significant differences between both the groups. After looking at the results mentioned in the study, we can conclude that fourteen days of chewing gums may show significant improve in the mood of an individual. This is because chewing gums allows people to divert their mind, get into a better state of emotions and kick mental fatigue as well. So the next time you feel bad and sad about something, don’t forget to start chewing gums in order to enhance your mood and improve your mental status. Previous articleThe first man to survive going over Niagara Falls later died from slipping on an orange peel. Next articleRelationship insecurity can in fact result in heart related illnesses.